There is a mona to suit every young chocolate-lover's taste. 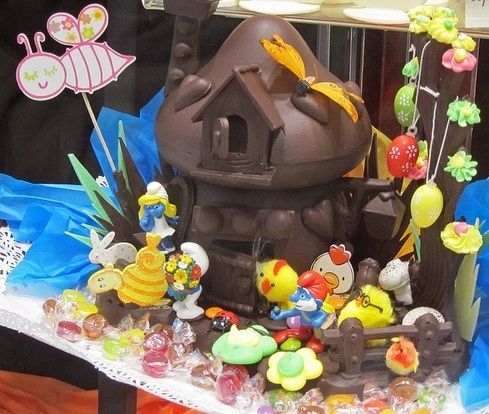 Visitors to Barcelona at Easter are often amazed by the vast array of dark chocolate sculptures displayed in the city’s bakery and cake shop windows. 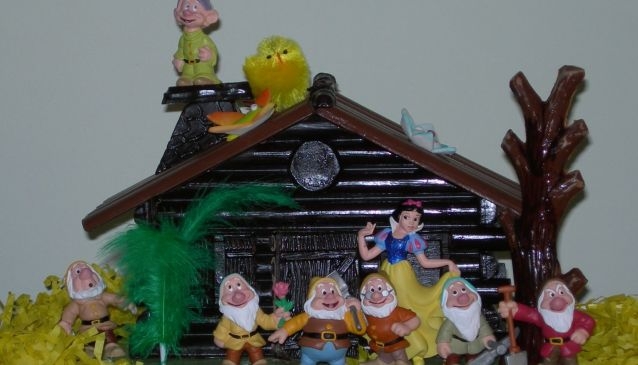 These intricate edible scenes are called monas and are traditionally bought by Catalan godparents to give to their godchildren on Easter Monday, known as Dia de la mona. The word mona has many supposed origins with some linguists and historians suggesting that it might come from the Arabic word munna or the Latin munus, both meaning a gift. 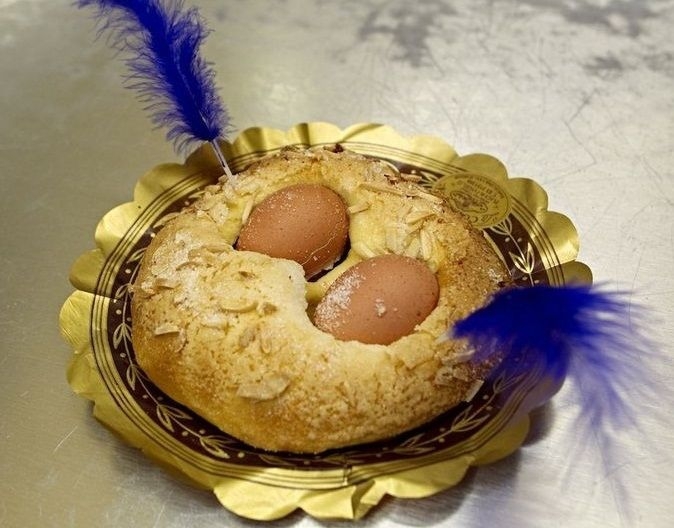 The original mona did not contain chocolate at all, it was merely a ring shaped cake adorned with a decorated hardboiled egg, but it has evolved over the centuries, varying from region to region. Nowadays chocolate monas are normally based on popular themes such as cartoon characters or famous sporting stars. From Peppa Pig and Spongebob Squarepants to Barça football players, there is a mona to suit every young chocolate-lover’s taste. 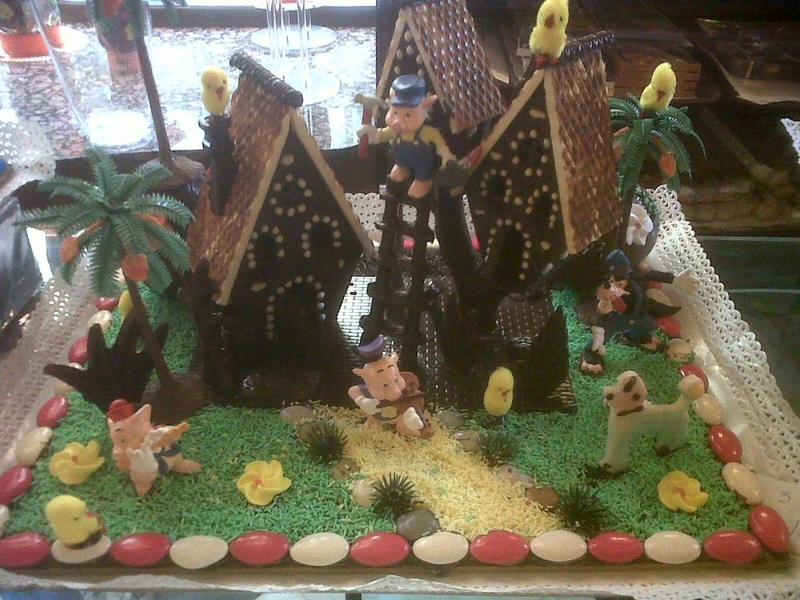 Every Easter the city’s confectioners and chocolatiers anxiously strive to make their window displays the biggest and best to attract customers. In recent years and more than likely due to the economic crisis, these luxurious works of art have become much smaller and less expensive, but are still as popular as ever. In fact, more than 600,000 monas are eaten in Catalonia every year with families spending between 25 and 75 Euros. It definitely is serious business, in 1997 a cake shop in the nearby town of Lleida made an 87 kilo mona of Barça football player Ronaldo. That’s a lot of chocolate to get through! 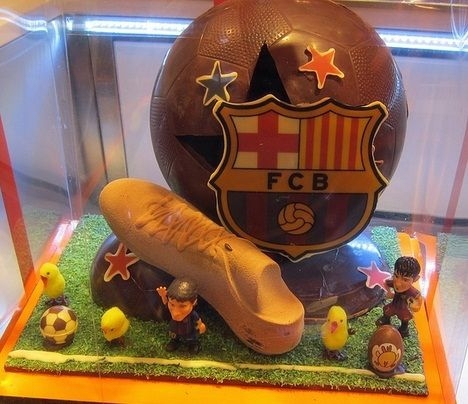 So, if you ever happen to be in Barcelona at Easter make sure you take a look at the mouth-watering window display at the nearest bakery or cake shop and prepare to be deliciously surprised by this deeply-rooted Catalan tradition.